“the days are long, but the years are short” when it comes to raising children? I rolled my eyes when I first heard it – first time mom arrogance. 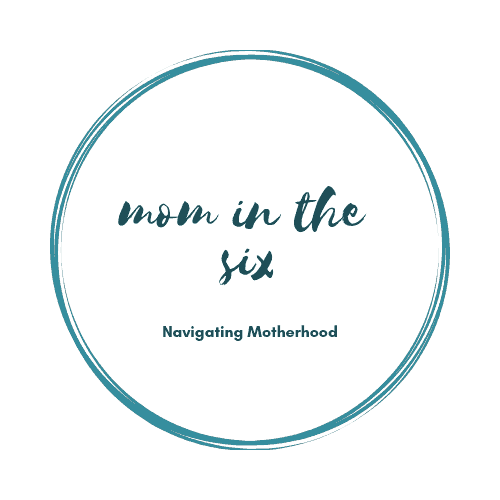 Flash forward a few weeks with a newborn and I knew exactly what it meant in regards to the long days. I don’t know about you, but when Brooklyn was really little (0-3 months) I really struggled with finding activities to engage her with ALL DAY. Her eyesight was developing and she had zero ability to hold on to a toy, so I felt a lot of pressure to entertain her and help her learn, but when they are so small you really don’t know if they are having fun and there are only so many things you can do with them in a day before they become too repetitive! In order to mix up some of the monotony of those first days and weeks, I scoured the internet to find baby activities to do (probably how you came across this post – welcome!). So to pay it forward…here are some activities I came up with in her first six weeks, most we continue to this day with some added touch or sound to the game. Baby’s sense of smell is their most advanced sense when they are first born, so games involving smell can be played in their first weeks and months. It’s super simple plus it encourages mom to eat healthy! A mix of different fragrant fruits and berries in a bowl ready to eat. Cut the fruit and berries in half or quarters. Place your baby on a pillow or your lap and before you eat a piece of fruit carefully wave your fork in front of your baby’s nose and let them smell the fruit. As mentioned above, baby’s are born with an amazing sense of smell. Activities that involve smell are easy and this one also incorporates touch. I first did this with a bouquet of peonies, but any fragrant flower will do. A bouquet of fragrant flowers – ensure none of the flowers have thorns. Hold baby up to your bouquet or if baby still doesn’t have head control pull a few flowers from the bouquet and place baby on your lap or on a pillow. Let baby smell the flower and tell them what it is “isn’t the Peony pretty?” Then let them touch the petals with their hands or feet “feel how soft the flower is”. I could see little Brooklyn’s nostrils flair a little as she smelled! This one has been around for awhile, but I found it fun and easy so am recommending here. Place your baby so you are face to face and make silly faces at her and see if she copies you. Example: Stick your tongue out and see if your baby will replicate. Even if they don’t (it was rare) they are still looking and studying your face. My good friend ordered a bunch of these medical papers online and gave me a bunch. They come in so handy when changing on the go! If you’ve been to the pediatrician and placed your baby on the table you will know they love that paper. This is an at-home version. Spread the paper over the mat and lay your baby on it and let them kick away. Baby will love the noise it makes. I would play this “game” before bath time so I could let baby be naked for a little while on the paper (its absorbant). If they make a mess the paper soaks it up and baby is headed for a bath anyways. Have any activites to add to this list? What games/activities did you find most rewarding when your baby was 0-3 months? Great information!! I love the fruit activity! So simply but so stimulating for the little one! Love these tips. Monkey see monkey do is definitely one that works great! I did that a lot when my son was a newborn. These are such cute ideas! I never thought to engage my little ones’ sense of smell at that age. This is great! My little guy loves paper. He is now 5months old and still loves it!